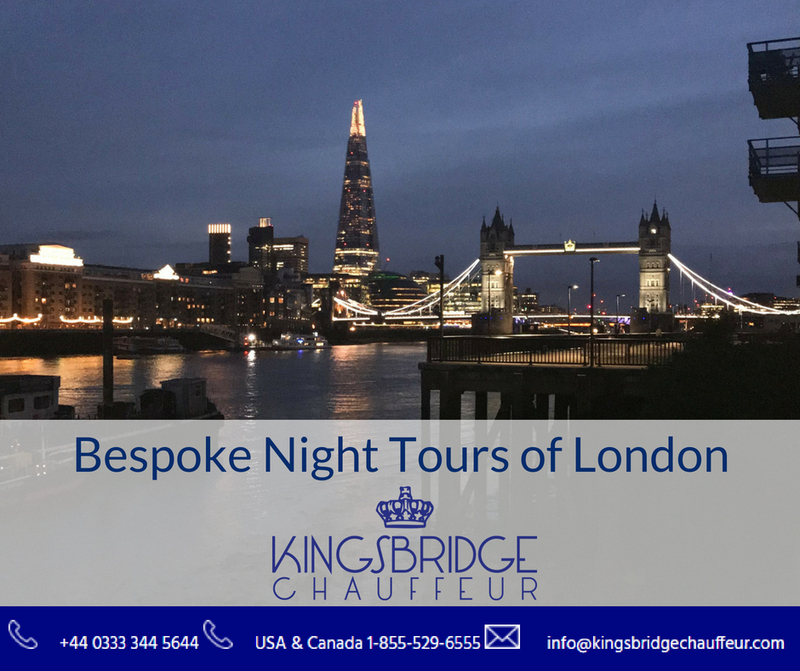 At Kingsbridge Chauffeur, we like to design bespoke tours to suit you. We've taken our clients on some fantastic London tours. During the day there is the hustle and buzz of the city. At night, it is beautifully lit up. Next month, September 2018, brings around the unique opportunity to visit some of Londons most impressive and unusual homes. The annual Open House Weekend falls on the 22nd and 23rd of September. Giving you the freedom to explore over 800 buildings which will inspire and amaze you. Something a little bit different to the usual tourist sights, a side of London not often open to the general public. The first 'Open House' London event was 25 years ago in 1992. The founder of the event Victoria Thornton wanted to inspire the public and show the benefits of great design. The Open House team believe that "great design - in architecture, urban design, planning, and infrastructure can transform the lives of ordinary people for the better." This brilliant concept has now spread to over 35 cities across 5 different continents. Last year the event included houses such as; 10 Downing Street, Lancaster House, and 30 St Marys Axe (A.K.A The Gerkin). It’s not just homes that will have their doors open, offices and breweries will also be available to tour. Each year over a quarter of a million people take part in the Open House weekend and you can be one of them. We'd be happy to take you anywhere but have put together a couple of route ideas for Open House weekend. From the Aga Khan centre, designed by prize-winning architect Fumihiko Maki, with its 6 gardens inspired by different regions of the Muslim world. Onto the unusual limestone building at 15 Clerkenwell close. To translucent Angel Court and then a visit to the converted White Collar Factory featuring innovative design and panoramic views. Finishing at the contemporary new build home at 11 Alwyne Place. Starting at the incredible Wimbledon windmill designed by Charles March in 1817. A rare example of a hollow post mill which is Grade II listed. It now contains a museum depicting the history and development of windmills in Britain. Then a visit to an even older building. The Chapter House the remains of Merton Priory c1100-1200. Afterwards, onto Dulwich College, Barry Buildings built in1869 and Grade ll listed. Palladian symmetrical plan, in terracotta and stone. Onto a restored and modernised school Belham primary school. The restoration of the Grade II Listed Old Bellenden school. Which shows that it is possible to balance conservation, sustainability, consultation and outstanding architecture for the benefit of its community. Finishing with the incredible spiral-themed Clapham library. 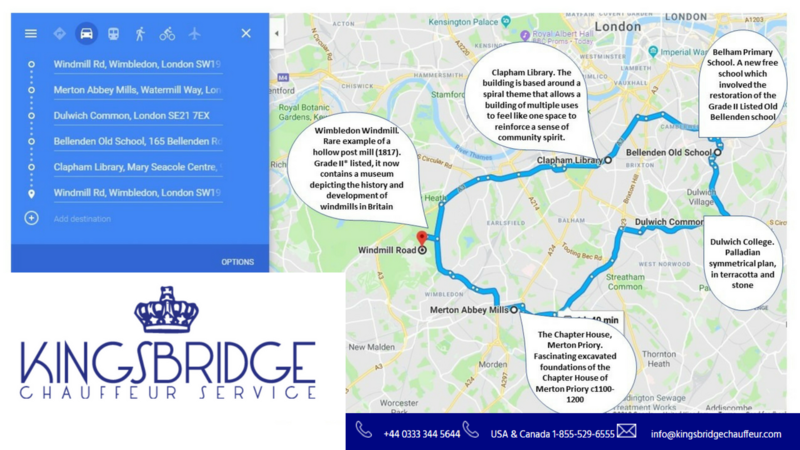 Book a bespoke tour with a Kingsbridge Chauffeur to travel around London visiting these spectacular buildings in luxury and style. Where would you like to go?